The red-spotted or eastern newt (Notophthalmus viridescens) is the salamander seen most often around my home in rural New Hampshire. 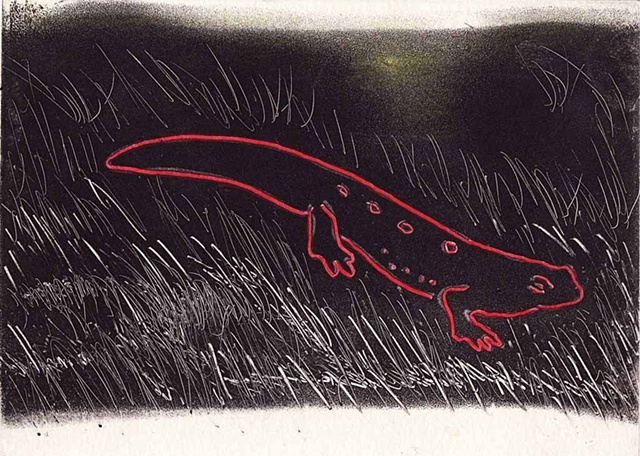 My sketched outline of a newt was used to prepared a solar plate for making this print. I added color to the image, printed in black ink, with colored pencils. Edition of 30.